THURSDAY, March 29, 2018 (HealthDay News) -- Drug overdose deaths continue to pile up in the United States, driven largely by the opioid epidemic and the emergence of dangerously potent synthetic opioids like fentanyl, a new government report shows. "The problem isn't just getting worse, it's getting exponentially worse," said Emily Feinstein, executive vice president of the National Center on Addiction and Substance Abuse. "What's happening in our country is shameful. Addiction is a preventable and treatable disease. We know what to do, but we are not doing it. We are taking half-measures and expecting better results," added Feinstein, who was not involved with the new study. In what was one of the first high-profile overdose deaths involving fentanyl, a toxicology report obtained by the Associated Press this week showed that musical icon Prince had an "exceedingly high" concentration of fentanyl in his body when he died. Prince was 57 when he overdosed alone in his Paisley Park estate on April 21, 2016. "What's clear is that many people are unaware that they may be risking their life when they think they are simply buying heroin to support their ongoing prescription drug habit," Glatter said. "People who use heroin should realize that fentanyl could be a potential contaminant which significantly raises the possibility for overdose and death." The increase in overdose deaths stretched across all groups of Americans -- men and women, all age categories, all races and ethnicities, and everywhere from rural communities to metropolitan centers. "No area of the United States is exempt from this epidemic," CDC Principal Deputy Director Dr. Anne Schuchat said in a CDC statement. "We all know a friend, family member or loved one devastated by opioids." However, overdose death rates differed between states, with northeastern states bearing the brunt of fentanyl-related deaths, the study findings showed. New Hampshire (30.3 deaths per 100,000 people), West Virginia (26.3/100,000) and Massachusetts (23.5/100,000) had the highest synthetic opioid death rates. Overall, death rates from synthetic opioids increased in 20 states and Washington D.C., with 10 doubling their rates from 2015 to 2016, according to the report. 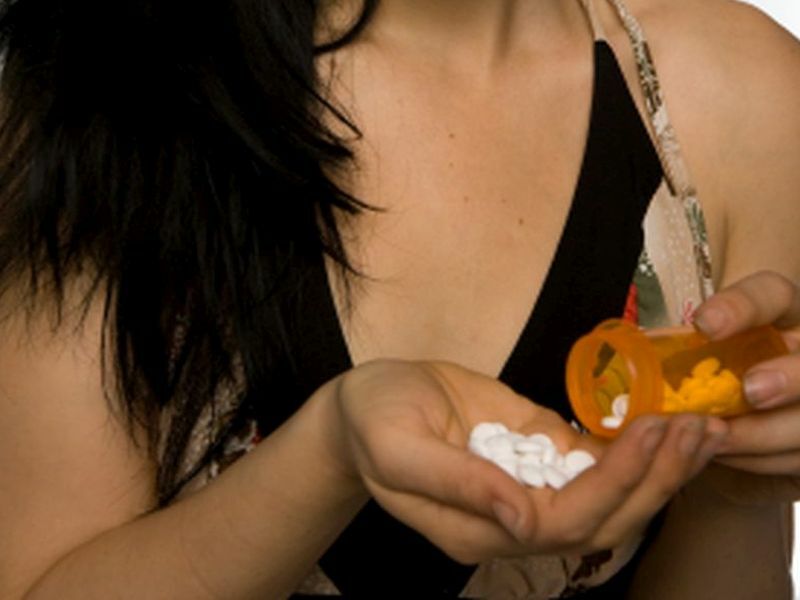 Death rates from other opioids also continued to increase nationwide, including prescription opioids (10.6 percent) and heroin (19.5 percent), the researchers reported. Increases in overdose death rates for cocaine and stimulants (like methamphetamine) also increased, by just over 52 percent and 33 percent, respectively. The findings were published March 30 in the CDC's Morbidity and Mortality Weekly Report. Glatter said that one deadly street drug trend, involving a product known as Gray Death, is especially worrisome. Gray Death often contains a varying mix of heroin, fentanyl, carfentanil (an elephant tranquilizer 100 times more potent than fentanyl), and another powerful synthetic opioid called U-47700, Glatter said. "Gray Death actually looks like concrete, varying in consistency from a fine powder to a rocky or chunky appearance," Glatter said. "The reason that this concoction is so attractive is its price, $10 to $20, compared with the cost of an oxycodone or hydrocodone tablet that may run $25 to $40 on the street." To prevent these deaths, there needs to be improved access to naloxone (Narcan), the lifesaving overdose-reversing medication, said Dr. Sandeep Kapoor. He is director of SBIRT (Screening, Brief Intervention, and Referral to Treatment) for Northwell Health in New Hyde Park, N.Y.
"We are encouraging that if a patient is to receive opioids, that we co-prescribe naloxone, supported by education about addiction and overdose to protect them -- and their families -- from fatal overdoses," Kapoor said. In addition, Feinstein said, emphasis needs to be placed on treating addiction as a disease, including better education on addiction and overdose for ER doctors and hospitals, improved reimbursement for addiction treatment from insurers, and better guidance from government. "Hospitals don't even have protocols in place to know what to do if someone is in opioid withdrawal, or someone survives an overdose," Feinstein said. "That's shameful."